**Bring the whole family for our special “family affordable” performance on Friday evening, MAY 17. 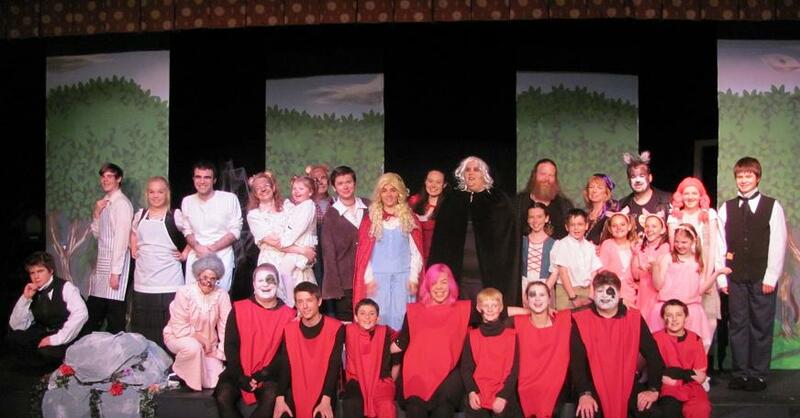 The 2013 Children's Dessert Theatre season continues on May 17-18-19 with A Walk in the Woods by Debbie Metzler. 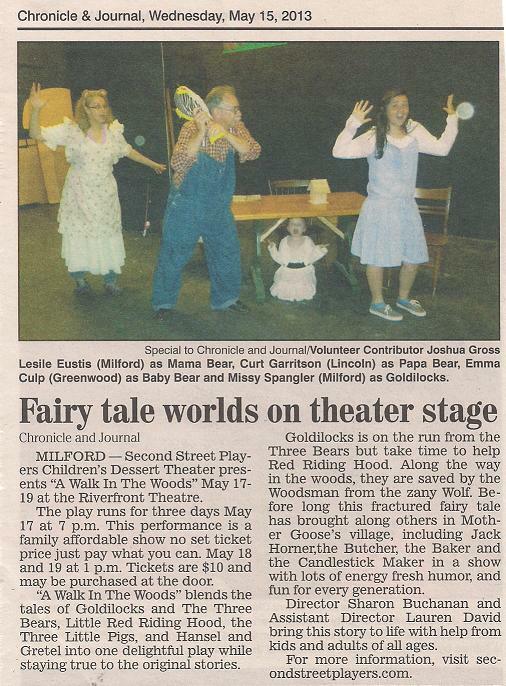 A Walk in the Woods blends the tales of Goldilocks and the Three Bears, Little Red Riding Hood, the Three Little Pigs, and Hansel and Gretel into one delightful play while staying true to the original stories. Goldilocks is on the run from the Three Bears but takes time to help Red Riding Hood. Along the way in the woods, they are saved by the Woodsman (who also happens to be Hansel's and Gretel’s father) from the zany Wolf (the same canine who plagues the Three Pigs). Before long this fractured fairy tale has brought along others in Mother Goose’s village, including Jack Horner, the Butcher, the Baker and the Candlestick Maker in a show with lots of energy, fresh humor, and fun for every generation! Don't miss the chance to share this Children's Dessert Theatre experience with your whole family! Mark you calendars now for A Walk in the Woods.